Recently I heard a young High School student tell of the way Young Life has changed the direction of her life for the better. Become a giving partner with Young Life today. It was such a significant moment when you learn of the situations she has experienced. But before I share her story, I would first like to thank the many people who share a deep concern for the future of young people and work with us to make a whole range of positive, locally-based, relational programs possible. These are just some of the ways we help young people build connections and fight back against isolation and alienation. Which brings me to Elle’s story*. Like many young people our youth leaders meet, Elle’s family life is complex but as Elle explained, in her particular case family friction and trauma nearly resulted in her becoming homeless. When Elle met Young Life, she was an angry, unpredictable adolescent in desperate need of someone to care and help her through the emotions and decisions she was making. Someone like a big sister. You can be a transforming influence in a teenagers life by giving to Young Life. With your support, more young people like Elle will be helped. To make a donation, visit our website www.younglife.org.au/donate or call our national office on 1300 557 647 to make arrangements in person. We’d love to hear from you. https://younglife.org.au/wp/wp-content/uploads/2016/01/SC19_Feature.jpg 1080 1080 Leonie Savage https://younglife.org.au/wp/wp-content/uploads/2014/04/younglife-australia-logo.png Leonie Savage2018-11-02 20:53:372018-11-02 21:06:41Jindabyne, here we come! 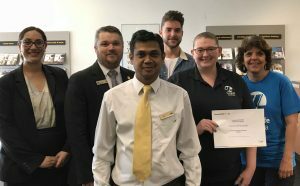 From left, CommBank rteam members Tiyana Scanlon, Mir Morshed and Branch Manager Troy Williams with Young Life volunteer Ben Verrell, Chloe Wright and committee member, Sue Verrell. 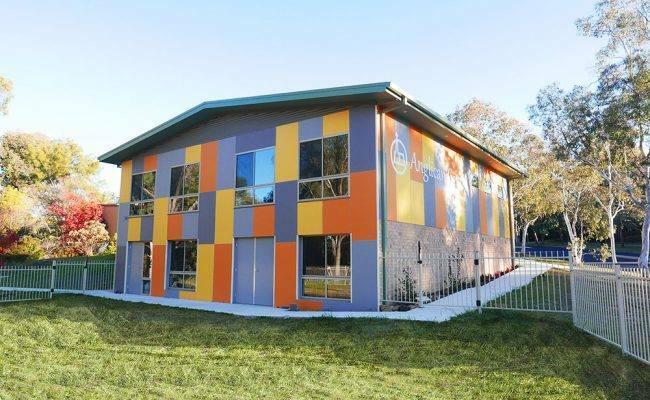 Young Life in Ipswich recently received a grant through CommBank’s Centenary Giving campaign. The Booval Branch of CommBank chose Young Life to receive the $10,000 award to further Young Life’s work local high schools and the community. Chloe Wright is Young Life’s Area Manager in Ipswich. For more information about supporting Young Life in Ipswich, please contact Chloe Wright on 0479 198 265. 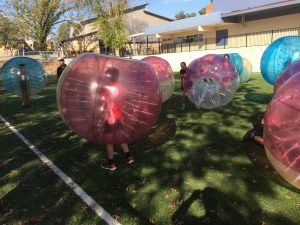 Young Life Canberra is responsible for pancakes and Bubble Soccer at Belconnen High. You can expect games, challenges, themes, food and a chance to relax and chat. It’s fun, a bit crazy and a really good place to hang out with friends outside of school. 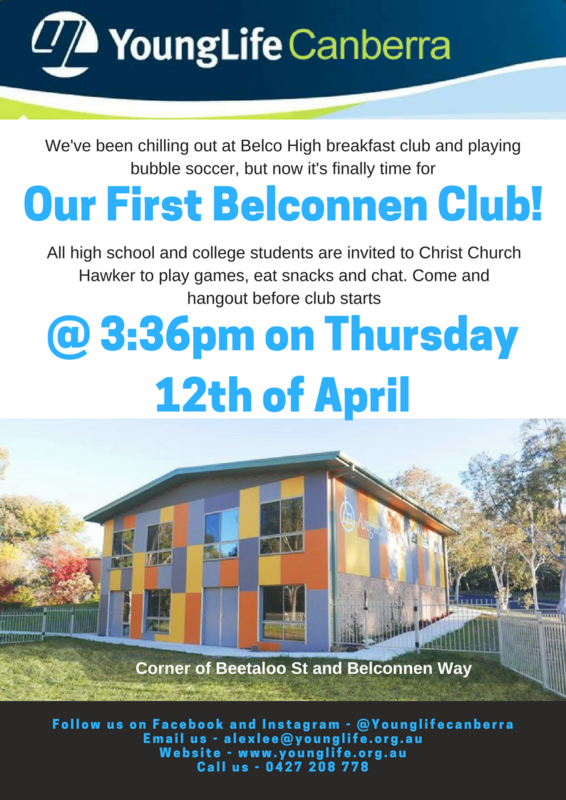 The team who are leading Club are volunteers and are known to students at Belconnen High for running the pancake breakfast. Young Life Australia runs camps as well as Clubs, including a national Summer Camp held in Jindabyne every January. “So come along, don’t miss out. We meet this week on Thursday, 12th April, and every second-week starting next term in weeks 2, 4, 6, 8 and 10,” says Alex. When: Thursday, April 12 at 3.36pm and every second week from the beginning of Term Two. For more information about Young Life Canberra, email Alex Lee or call 0427 208 778. Young Life Australia’s annual staff gathering took place this week. The team flew in from around Australia to plan, train and share their experiences working with young people. “Thanks to everyone who has taken part, particularly those who have shared their knowledge and experience,” says Glyn Henman, Young Life Australia’s CEO. 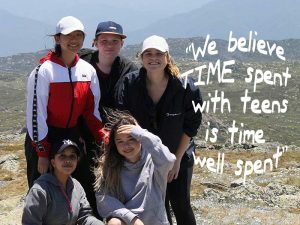 Summer Camp was a huge success and in the latest edition of Young Life Australia’s Connections newsletter we hear from volunteers, Robyn, Yianni, Glenn and Jade. Robyn had come all the way from Kingaroy in Queensland. This year’s camp involved 80 volunteers on Summer Staff or Work Crew. To hear more from Yianni, Glenn and Jade, view the latest edition of Connections online.